Of course, the new model gets plenty of oomph under the hood with new XT version equipped with a new 2.4-liter turbocharged Boxer engine putting out 260 horsepower at 5,600 rpm and 277 lb-ft of torque at 2,000 rpm. Meanwhile, the standard naturally aspirated 2.5-liter Boxer, with direct injection and nearly 90% of its parts new, delivers 182 horsepower at 5,800 rpm and 176 lb-ft of torque at 4,400 rpm. 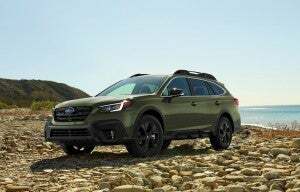 The new Outback not only retains all of its off-road capability for 2020, it improves it. All 2020 Outback models are paired with a Lineartronic CVT featuring an 8-speed manual mode function with steering wheel paddle shifters. The 2.4-liter turbo delivers a 3,500-lb. towing capacity, the most of any Outback in history. On the other end, the 2.5-liter provides more than a 600-mile range on a single tank. Manufacturer’s estimated fuel economy is 26/33 mpg city/highway for the 2.5-liter and 23/30 mpg city/highway for the turbo. Those numbers are good, but since Outback owners may want to put their vehicles through some more difficult off-road conditions, it’s ready for that as well. 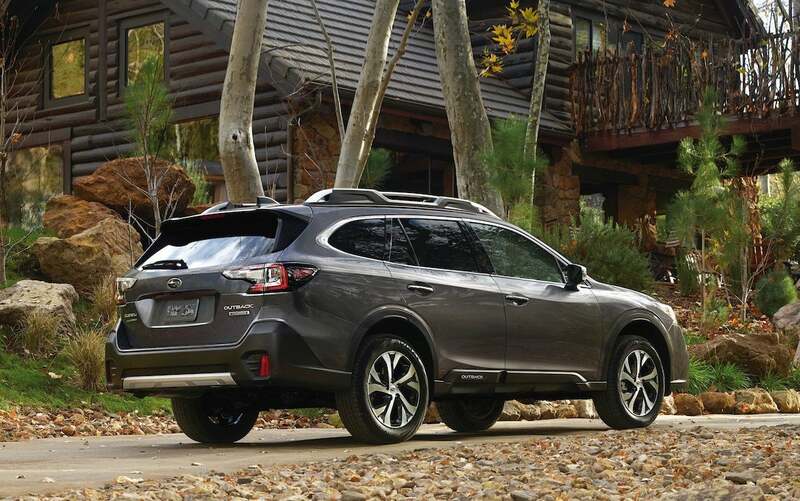 It boasts its usually superb blend of SUV capability and car-like ride and handling with standard Subaru Symmetrical All-Wheel Drive, Active Torque Vectoring, Vehicle Dynamics Control and X-MODE with Hill Descent Control. Ground clearance of 8.7 inches for all Outback models is greater than that in many SUVs. Natually, the Outback has been tweaked to improve its already steller safety record. With a stiffer frame and other improvements to the structure and additional airbags, Subaru expects the Outback to achieve top safety scores when it is tested later this year, including a Top Safety Pick+ rating from the Insurance Institute for Highway Safety (IIHS). 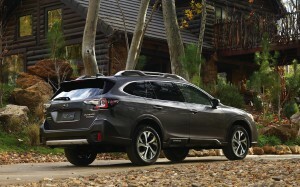 The new Outback gets a new 11.6-inch touch screen to control the vehicle's infotainment and HVAC functions. The Outback comes in Base, Premium, Limited, Touring, Limited XT and Touring XT trim levels; however, the company debuts the new 2020 Onyx Edition XT. It features black-finish exterior elements, 18-inch alloy wheels and badging, and an exclusive gray two-tone interior. The seats are wrapped in a new water-repellant durable StarTex material. The Onyx Edition XT builds on the Premium trim and adds the 2.4-liter turbo Boxer, Hands-Free Power Gate, Front View Monitor and, for increased capability in a wider range of environmental conditions, exclusive Dual-Mode X-MODE and full-size spare tire. 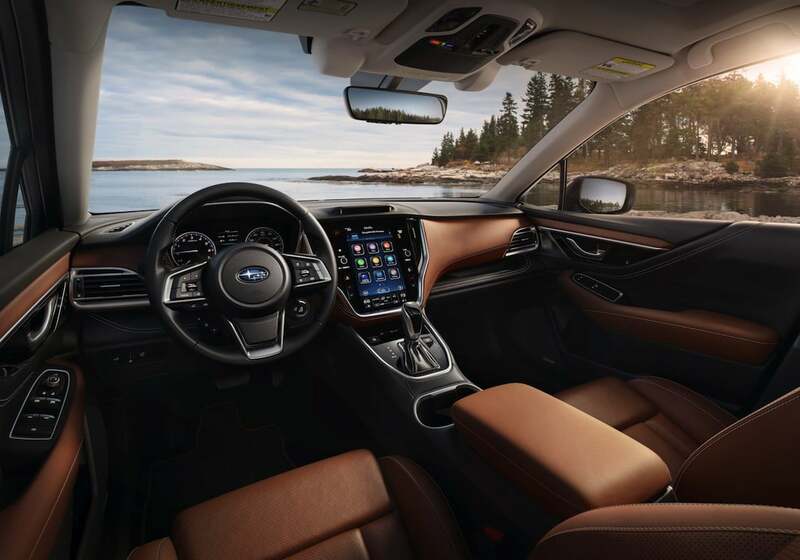 Front and center, and highlighting Outback’s upscale interior, is an all-new tablet-style 11.6-inch Full HD multimedia display, the largest, most advanced infotainment screen ever in a Subaru. Standard on all but the Base trim, the 11.6-inch Multimedia display offers direct touch controls for multimedia HVAC, X-MODE and vehicle settings, and includes Near Field Communication to its list of features. Subaru’s Starlink In-Vehicle Technology offers an integrated cockpit experience by allowing the driver to control entertainment and vehicle settings through the touchscreen display. All STARLINK multimedia systems for the 2020 Outback feature a high-resolution touchscreen; new on- screen controls for audio, HVAC, X-MODE and vehicle features; combination meter integration; smartphone integration with Apple CarPlay, Android Auto and new STARLINK SmartDeviceLink apps. For the first time in Outback, available in-vehicle Wi-Fi hotspot provides smooth internet access via high-speed LTEcommunications. Pricing will be released closer to the vehicle’s ship date this fall. This entry was posted on Wednesday, April 17th, 2019 at and is filed under Asia Pacific, Auto Shows, Automakers, Automobiles, Business, China, Europe, Events, Executives, Markets, NAFTA, New York, Personalities, Product Reveals, SUVs, Safety, Safety, Sales, Sales, South America, Subaru, Technology, U.S./North America. You can follow any responses to this entry through the RSS 2.0 feed. You can leave a response, or trackback from your own site.